Hi Doodlebug fans! I can't begin to tell you how much fun and satisfaction I get from scrapping with Doodlebug's happy and colorful collections! Every time I sit down with my photos and my Doodlebug collection of choice I 'm filled with this feeling of happiness! The same happened when I scrapped this layout with photos of my kids taken a few years ago. Every year in December an ice skating-rink is installed in the city centre and my kids love to go ice skating there. 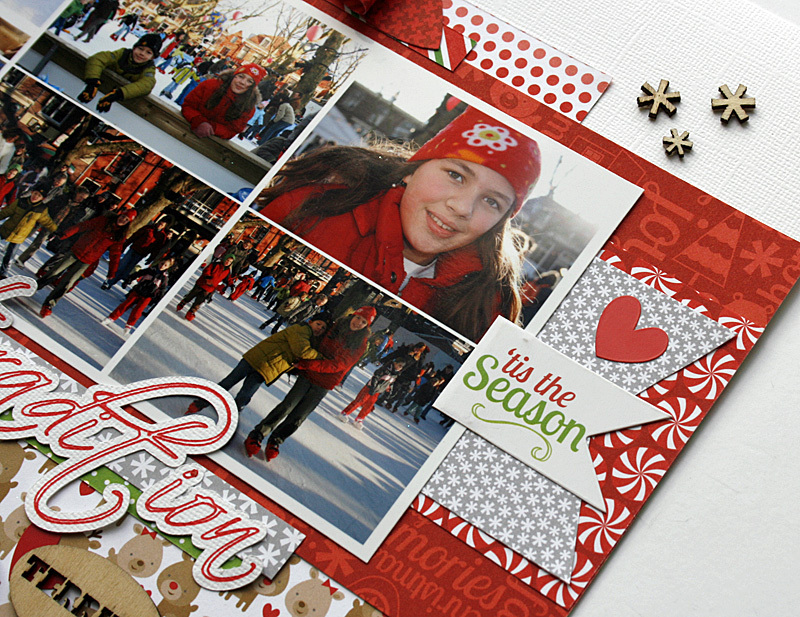 I really love how well the colors of Doodlebug's collection "Home for the Holidays" match the colors in my photos! And don't you just love this bow that comes with this collection?! Perfect for gift wrapping but also for layouts. The "'T is the Season" flag is actually a pixie flag, but I cut off the holes and used it without the pixie. The title was created using the sketch pen in my Silhouette Cameo. This is it. Thanks for letting me share, hope you liked it! 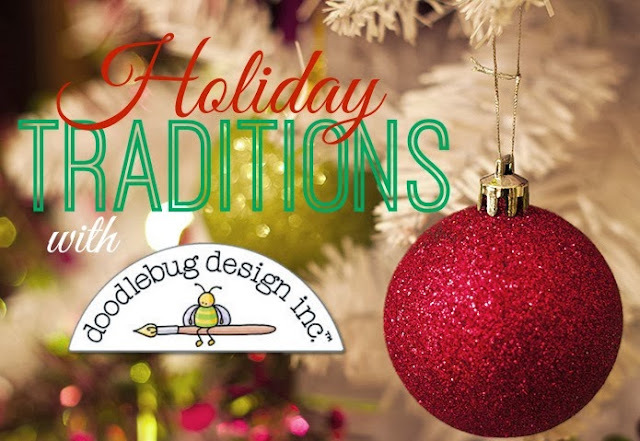 Thank you for visiting Doodlebug's blog today! This is just beautiful Monique !!! 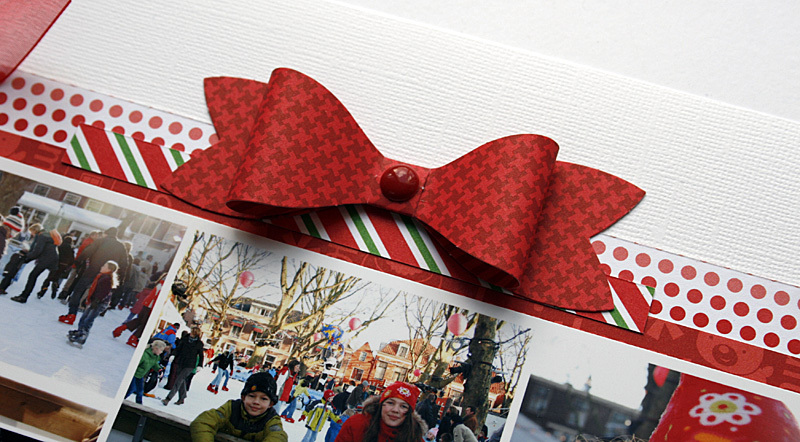 I just love the embellishments but it is always awesome when you can scrap several pictures on one page. Thank you for sharing such beautiful work. 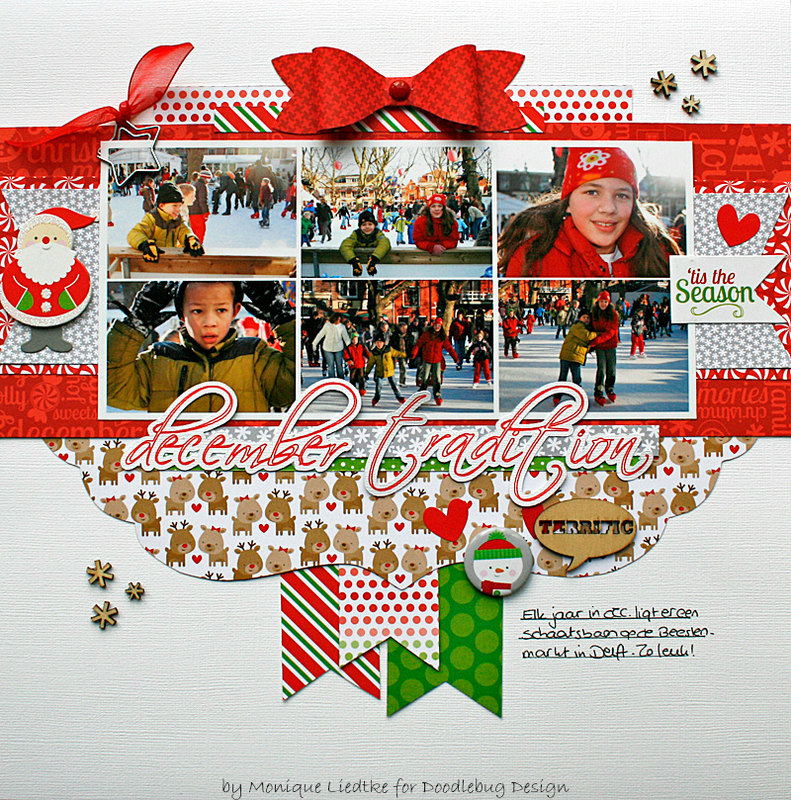 I just love you Doodlebug Designs! Happy Holidays. Very cool tradition, and I love the way this layout looks!